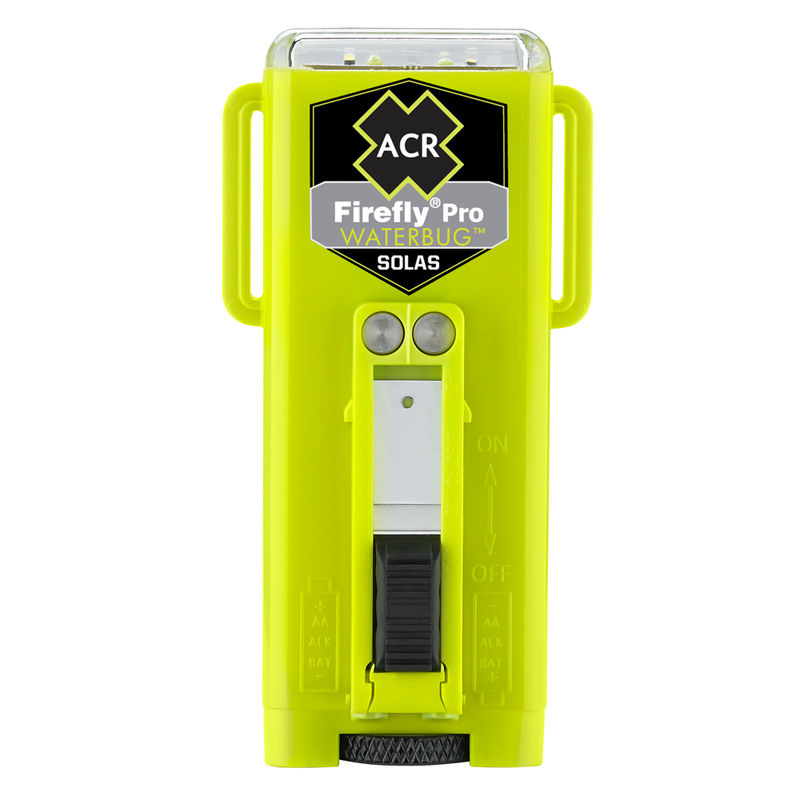 The Firefly PRO Waterbug is a SOLAS-approved strobe light with a built-in water activation feature that will automatically activate once submerged. With 4 activation functions, toggle between the armed mode for automatic water activation, ultra-bright strobe light or the SOS strobe to visually alert Search and Rescue of your location, then toggle to the Steady-On feature for close up recovery operations. Our cool white light has no yellow tinting which allows for a more visible light beam that can be seen at greater distances. The innovative new wide light emission LEDs produce a 360° beam of light (41 candela) allowing for visibility of over 3 miles. With an energy efficient microprocessor and redesigned electronics, the Firefly PRO boasts maximum operation life in the harshest of conditions. With a single set of AA alkaline batteries, the Firefly PRO will continuously strobe for over 56 hours or use the Steady-On feature for 28 hours. That is twice as long as our competitors and exceeds USCG and SOLAS requirements by over 48 hours. The compact size will easily fit inside an inflatable life jacket or pocket for comfortable wear-ability. The military spec casing is rugged enough to withstand years of abuse and the harshest environments. The two lashing loops and included Velcro strap make mounting the Firefly PRO to your life jacket, belt or pack extremely easy so that the strobe light can be readily accessible the moment you need it.